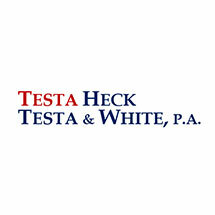 When you choose Testa Heck Testa & White, P.A. to handle your legal needs, you have their promise that they will vigorously defend your rights, provide sound legal advice, and allow your voice to be heard. This philosophy has resulted in the settlement or successful litigation of thousands of cases. Although they represent each client with the same commitment, the following are some of their most challenging cases. Former New Jersey Governor Christine Todd Whitman was looking for experienced trial attorneys to represent the State in its historic lawsuit against the tobacco industry. Michael Testa and the firm were retained as co-counselors in the case, along with six other firms. A suit was filed against the tobacco industry seeking to recover billions of dollars that the State and its taxpayers paid through the Medicaid program for health care costs attributable to smoking related illnesses. Prior to going to trial, a 7.5 billion dollar settlement was reached for the State of New Jersey. In Vineland, an eight year old child was struck by a car while crossing the street to board her school bus. The child sustained severe injuries as the result of the accident. Michael Testa obtained a settlement with a total value of $1,855,832 plus attorney fees. An electro-mechanic at Foster Forbes Glass Company was severely injured in an accident at work. As a result of this accident, he lost his life. At trial, an award for the family in the amount of $1,052,000 was obtained. In Atlantic City, a construction worker was injured when the second floor slab of a garage structure at a casino and the scaffold on which he was standing collapsed. He fell 18 feet to the first floor under concrete debris sustaining serious injuries. Michael Testa obtained an award for the injured worker totaling $1,665,000. A 17 year old female was injured on a jet ski collision that resulted in a below the knee amputation. The matter was vigorously defended with the defendants claiming the plaintiff was responsible for the collision. The case settled for $1.2 million. Michael L. Testa represented a construction worker who was killed and another who was injured when the Tropicana Garage collapsed during construction. That case settled collectively for all of the plaintiffs for a total of $101 million dollars, the largest injury construction settlement in the United States. In Atlantic County a 54 year old woman was injured in an automobile accident. After an extended period, as a result of the accident, she lost her life. Michael Testa obtained a settlement in the amount of $800,000.00.